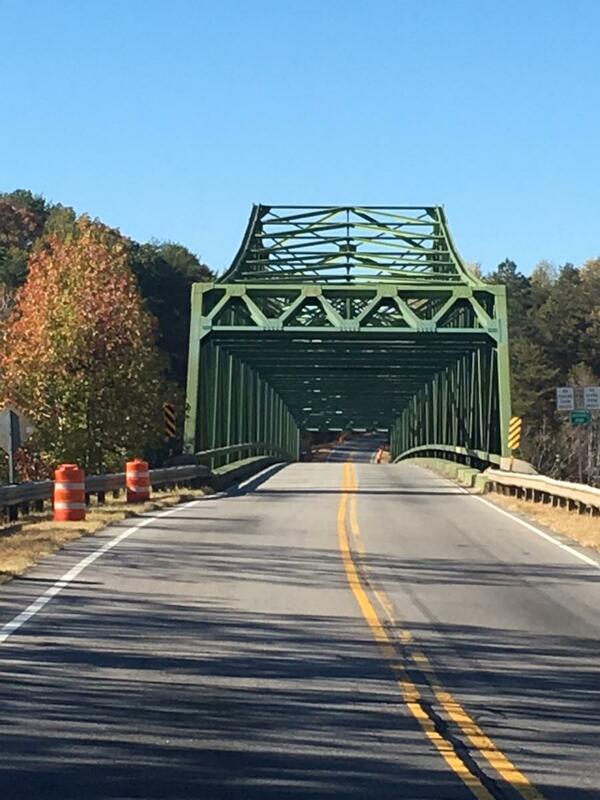 Having completed the Georgia Department of Transportation's (GDOT) new $22 million State Route 53 bridge — the Bolling Bridge — over the Chestatee River (Lake Lanier) last July, vehicles are now using it and the Scott Bridge Company Inc. has started the demolition of the old steel truss bridge (built in 1955/56), which should be completed in October. The $19.7 million project consisted of a new two lane bridge that is approximately 7.3 mi. west of the city of Gainesville. The work area (0.74 mi. in Forsyth and Hall counties) is approximately 0.39 mi. southwest of the Chestatee River and extends to a point approximately 0.35 mi. northeast of the river. The 987-ft.-long bridge has two 12-ft. lanes with 8-ft. shoulders. The new roadway approaches provide two 12-ft. lanes and 10-ft. shoulders, including a 2-ft. paved section. 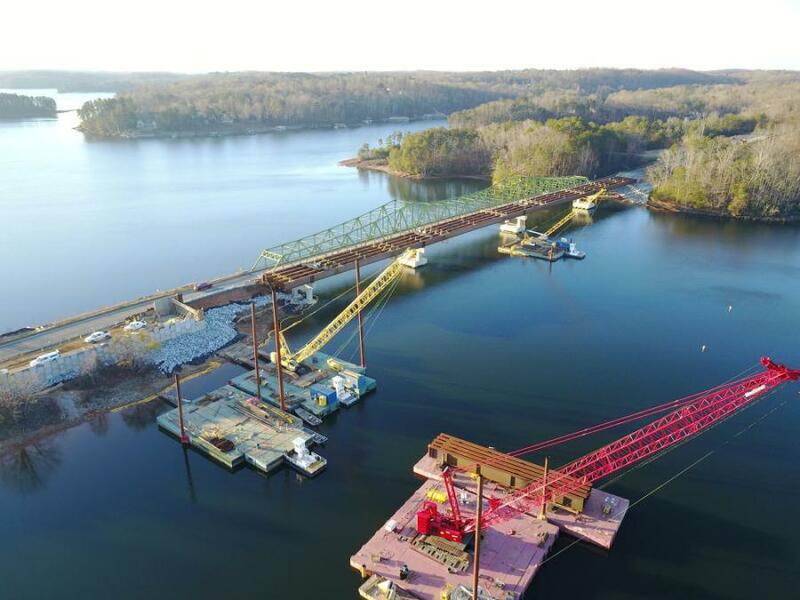 The new bridge construction began in late 2015 and, save for a few days of rain and other weather-related delays, the construction has been non-stop, including several night shifts to pour concrete for the caissons and the deck. The old bridge was determined to be structurally deficient and was eligible for federal bridge replacement funding. GDOT inspects bridges every two years by Federal regulations. “If the grading drops below a certain point, it goes on a list as to whether it is more cost efficient to continue maintaining or just replace it. When it falls below that rating, it doesn't mean that it's unsafe. They look at more from maintenance standpoint,” said Derek Wade, GDOT construction manager (Level 4), who was assigned to the project. 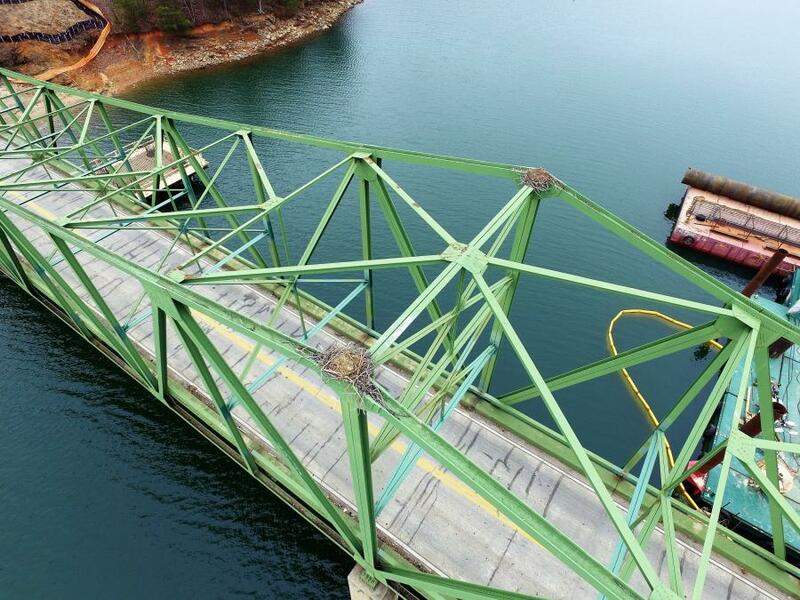 A GDOT public document described the state of the old bridge. “The existing vertical clearance… is approximately 17 feet above the normal pool elevation of the lake [Elevation 1071 feet],” it noted. 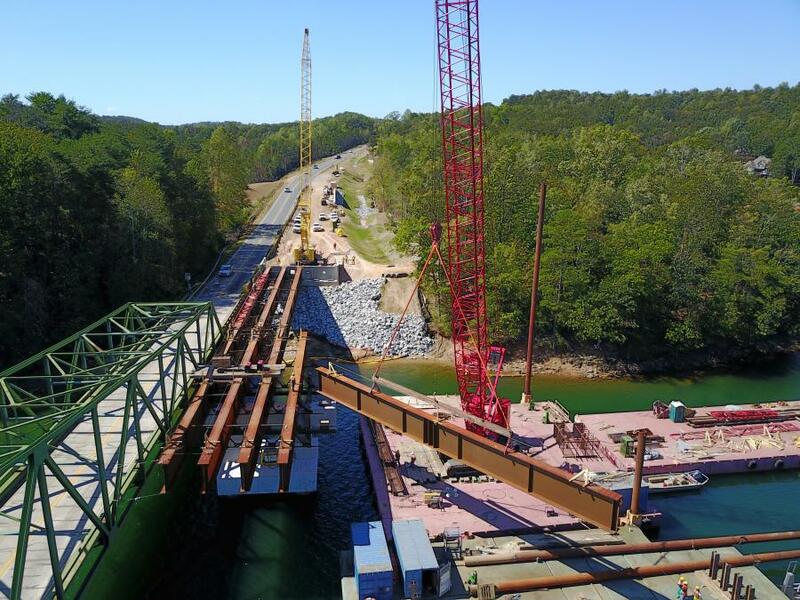 “The existing maximum horizontal clearance between bridge piers is approximately 285 feet, between the two center piers. 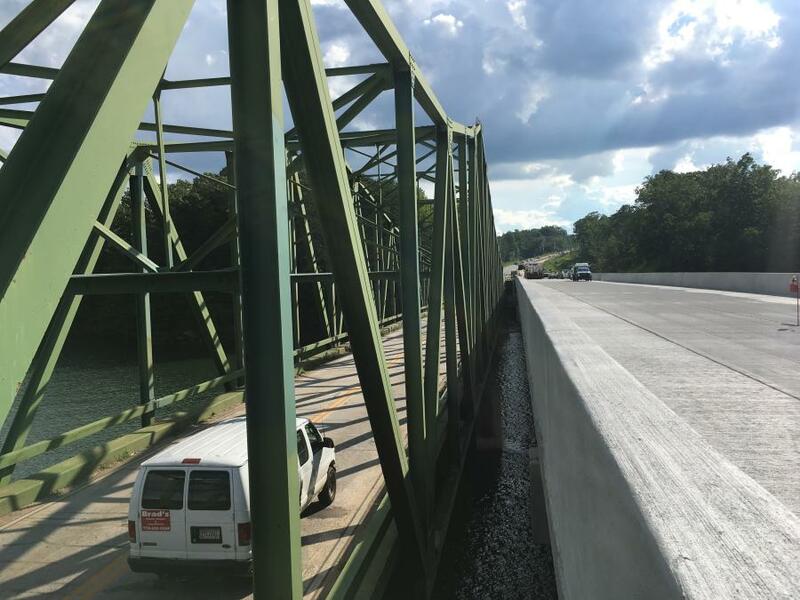 The Bolling Bridge is a fracture critical structure that has been struck by vehicles on numerous occasions due to the low clearance of the overhead steel trusses [15 feet above the bridge deck]. The deck within the main spans is currently six inches thick and is exhibiting transverse and longitudinal cracking, as well as some minor concrete deterioration on the underside of the deck. The bridge is important to area commuters, with 12,500 vehicles using it daily in 2017. The new bridge, a conventional design based on a steel girder substructure, has no overhead trusses — just a concrete deck and concrete barrier wall on both sides. 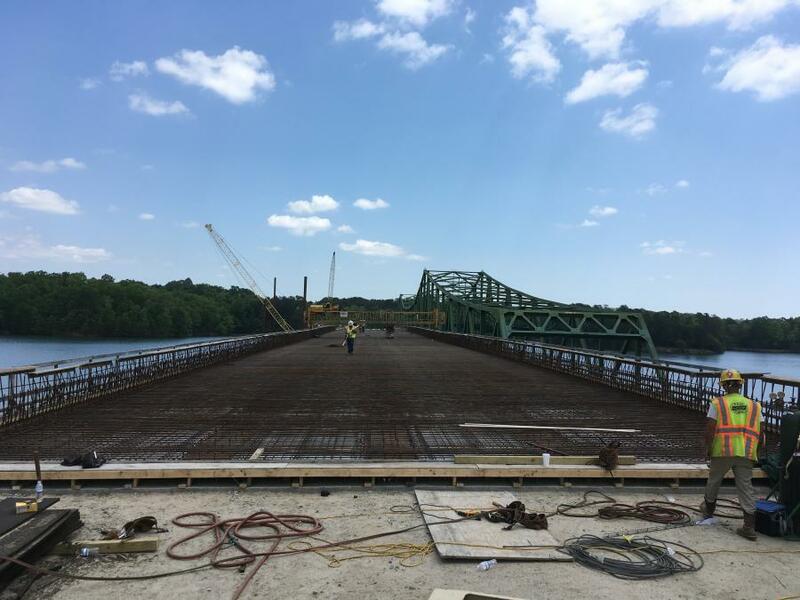 The centerline of the replacement structure is approximately 68 ft. north of the centerline of the existing bridge. 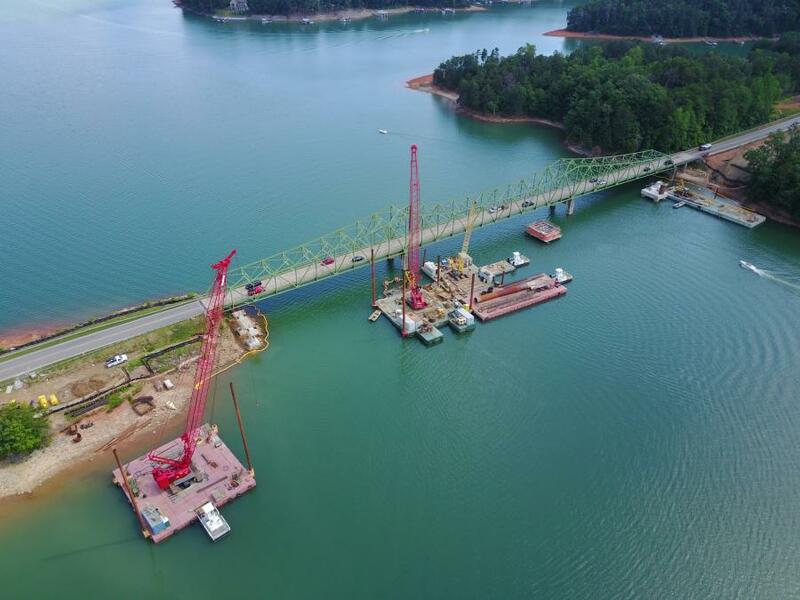 The bridge, which has 12 caissons, was designed by GDOT and has an expected lifespan of several decades. 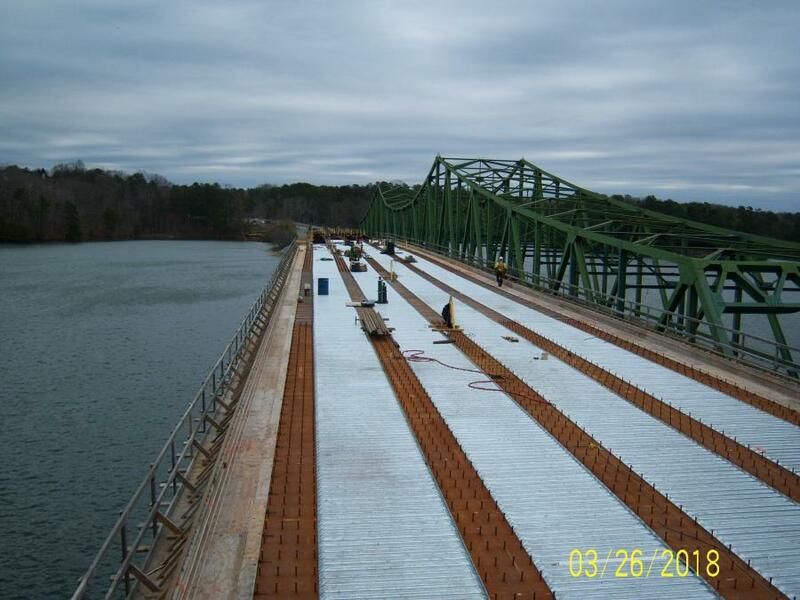 On the environmental side, two nesting platforms for Osprey had to be placed on Lake Lanier. The bridge construction proceeded well and the project is slightly under budget. There were no soil issues, save for one caisson having to exceed the standard depth by 20-ft. plus. “We have a very good working relationship with Scott Bridge and are keeping communications lines open. So, when something does come up, we are able to resolve it pretty quickly,” Wade said. The help of the USACE was essential to the project as it provided a staging area upriver from the work site where materials and equipment could be stored and serve as a laydown yard. “The work site was a constrained area and they couldn't stockpile a whole lot of materials and had to barge it down to the site,” said Wade. The demolition started Aug. 14, 2018, with barges placed below the bridge to prevent debris from falling into the water. During the demolition, Scott Bridge is required to keep one channel open to boat traffic at all times. 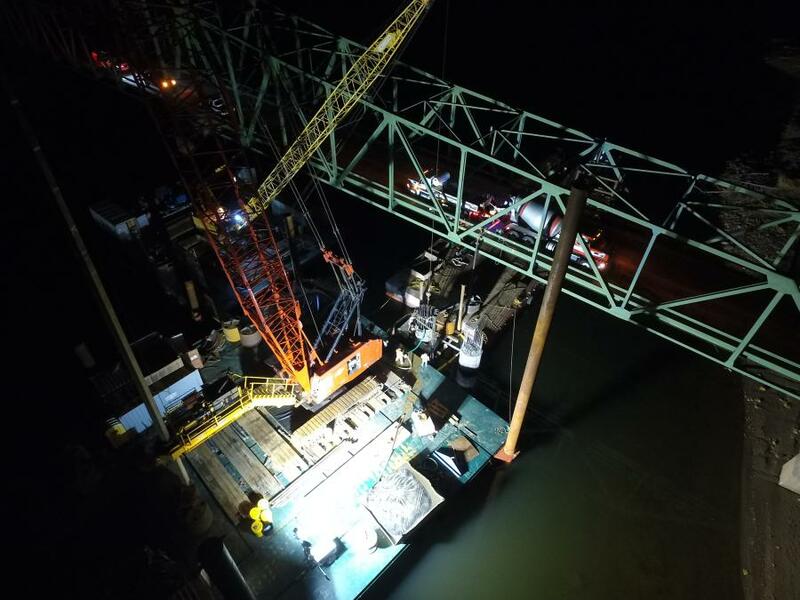 At peak, there were more than 60 Scott Bridge and subcontractor workers on site. The subcontractors are: AAA Signs & Safety; Bartow Paving Company Inc.; BC Landscaping Inc.; Blount-Sanford Contracting Company Inc.; Clarke Company Inc.; Clean Water Consultants Inc.; Curtin Trucking & Drainage Inc.; Cymco 7 Inc.; Elijah L. Jones Construction Inc.; Martin Pinero CPM, LLC; Parker Traffic Markings Inc.; Reynolds Fence & Guardrail Inc.; Rider Grinding Services; Russo Corporation; Southeast Grinding and Grooving LLC; Strickland & Sons Pipeline Inc.; Thompson Carriers Inc.; Tony Cook Trucking LTD; and Tricor Construction Inc.
To build the new bridge and road, the general contractor used tons of steel, concrete and asphalt. The removed materials will be sent to recycling centers. Wade makes it a point to learn from all projects to improve construction delivery times, speed up the process, and find better ways to emphasize safety. For the most part, he was the sole GDOT employee on site, but was occasionally assisted by GDOT co-workers and consultants for the concrete pours. He did have the opportunity to help mentor a recent civil engineering graduate.